The Asus Eee Pad Transformer tablet is a complete Android-based tablet PC provided with companion docking station that liberates it to also work as an Android 3.0 Honeycomb-based netbook. The device is based upon NVIDIA's powerful dual core 1GHz Tegra 2 processor with 1GB of RAM and 16 - 32GB of internal storage. The Transformer has dual front and rear facing cameras (1.2MP and 5MP, respectively), 1GB of on board memory, mini-HDMI output, a microSD card slot and a head phone/mic combo jack. It also has complete flash card reader slot, a pair of USB ports and, of course, keyboard and trackpad functionality. For all these features it has a bit upper hand in comparison to other Honeycomb-based tablets which are popular in the market. Its keyboard deck provides it a unique and new level of functionality there are benefits of the keyboard dock design like a pair of USB ports and a full SD/MMC flash card slot. The dock also adds about an additional 6.5 hrs of battery time as well, along with internal battery of the device. In built, the device has good copper brown finish and entirely brings an impression of an aluminum body. The Transfomer's LED backlit screen with resolution of 1280X800 presents very good viewing angles as well as excellent contrast, black reproduction and color saturation. The touch screen is very sensitive and has come up with traditional pinch/zoom gestures as well as ten finger multi-touch. In Software, equipped with Android 3.0 it comes with apps pre-installed like Books, Music, Gallery and Youtube. 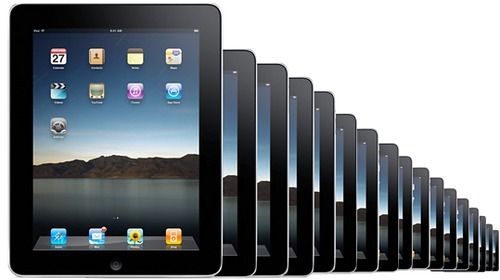 It has an exciting media sharing and streaming app Mynet that allows a user to access files from other systems on network for display and playback on the tablet. It also has Polaris Office that is an office suite of programs for word processing, presentations, spreadsheets, etc. Polaris Office is compatible with the standard PC file formats for different office document types and files. 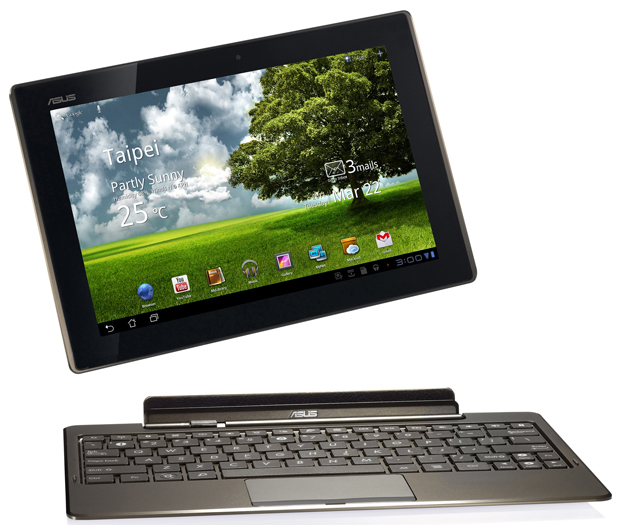 The 16GB version of the Asus Transformer cost Rs 29,999, while the 32GB version has a price tag of Rs 32,990.